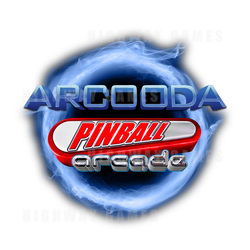 To celebrate the launch of Arcooda Pinball Arcade earlier this month, Arcooda today announced it will offer discounts to existing buyers of The Pinball Arcade. Arcooda Pinball Arcade is being developed in partnership with FarSight Studios, creators of the The Pinball Arcade. Many new features are being implemented in the Arcooda Pinball Arcade software including easy touchscreen navigation and game play, advanced playfield angles (including 3D options), real pinball parts support (flipper coils, shaker motors), tournament play, and 3 screen game play. Money already spent on The Pinball Arcade can be used as a discount for game table purchases on the Arcooda Pinball Arcade software. It will be a dollar-for-dollar discount, Arcooda said. In many cases, customers will receive many of the Arcooda Pinball Arcade game tables for free or at no additional cost. Pricing on the Arcooda Pinball Arcade software, Arcooda Touch Wizard desktop and Arcooda Video Pinball machines will be announced in January 2017. FarSight customers will have until March 31, 2017 to claim their discount.